India ranks 136th on the World Press Freedom index, slipping three places since last year. India's Central Bureau of Investigation on Monday raided the home and offices of top television executives Prannoy and Radhika Roy, co-founders of news channel NDTV, which has often clashed with Prime Minister Narendra Modi's government. In response, the network put out scathing statements and broadcasts, saying the raids amounted to a "witch hunt" and "a blatant political attack on the freedom of the press." The raids were conducted in connection with loans from ICICI Bank taken out by the Roys, starting in 2008. The network said the loans have been repaid, and it issued a document that appears to confirm their claim. "NDTV and its promoters have never defaulted on any loan to ICICI or any other bank," read a statement posted on NDTV's website. "We adhere to the highest levels of integrity and independence. It is clearly the independence and fearlessness of NDTV's team that the ruling party's politicians cannot stomach and the CBI raid is merely another attempt at silencing the media." 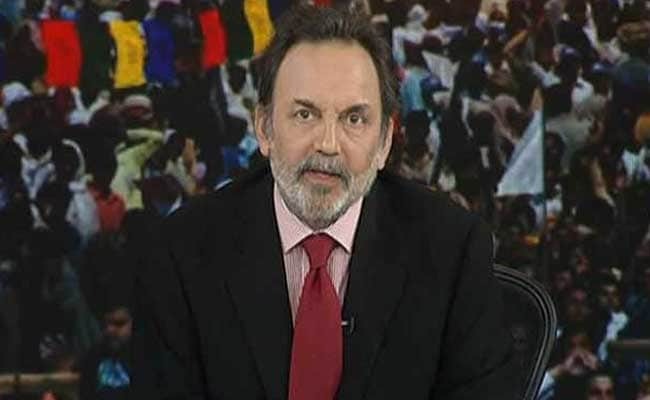 "In American media, it is considered patriotic to question and make the government accountable, here to be patriotic is to just agree with everything the government says," said Prannoy Roy, speaking to The Washington Post. Dissenting voices are often silenced using sedition laws. More than 51 freedom of information activists have been found murdered since the law came to force in 2005. Major corporate owners also limit the diversity of India's media: Although India has 86,000 newspapers and over 900 television channels, a handful dominate. Reliance, one of India's biggest companies, owns News-18, which dominates coverage on a number of popular TV channels and magazines. On Monday night, NDTV aired a half-hour Hindi language broadcast, anchored by Ravish Kumar, describing the atmosphere of fear in which Delhi's news media works. "If you ever meet a journalist on these streets ask if they are afraid. They'll tell you without speaking: 'Delhi's journalists are now scared.' . . . This is the capital of fear," he said. During the broadcast, Kumar said that had the raids not happened, his program would have focused on ongoing farmers strikes in the states of Maharashtra and Madhya Pradesh. "This is an attack on all of you," he said. "Just like this, every day, things that concern the ordinary man are pushed out of the national media. Several editors and journalists have sharply criticized the raids. Raj Chengappa, president of the Editors Guild of India, said in a statement: "Entry of police and other agencies into the media offices is a serious matter. NDTV, in various statements, has denied any wrong-doing and termed the raids as stepping up the concerted harassment of the news channel and an attempt to undermine democracy and free speech and silence the media." Rajdeep Sardesai, a former NDTV anchor, now a consulting editor at rival network India Today, said, "When raids are carried on a respectable public figure, on a nine-year-old investigation, questions are bound to be raised." NDTV's news coverage has riled up members of Modi's Hindu nationalist Bhartiya Janata Party, many of whom accuse the network of being anti-BJP. Days before the raid, NDTV news anchor Nidhi Razdan had sparred with the BJP's national spokesman Sambit Patra on air and asked him to leave her show for his accusation that NDTV had an "agenda." In November 2016, the Ministry of Information and Broadcasting had ordered an unprecedented 24-hour blackout against the network, saying its coverage on terrorist attacks at Pathankot had revealed "strategically-sensitive information." NDTV argued that its coverage was based on official news briefings and that other broadcasters that had made the same revelations were not being penalized. At the last minute, the ban was lifted. 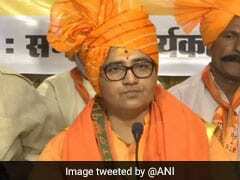 At a news conference, India's minister of information and broadcasting said that the agency's officials were simply carrying out their duty and there was no political interference in their investigation. He said, "If somebody does something wrong, simply because they belong to media, you cannot expect the government to keep quiet."